Home // HoliBlog // Going, going almost gone! Going, going … almost gone! You’ve been meaning to check out our Thunderbird’s First Flight Auction for Give Kids The World, haven’t you? But you’ve been busy. We understand. Boy, do we understand! 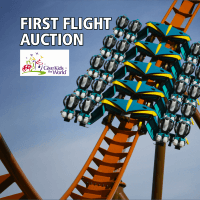 The deadline to place your bids for the First Flight on Thunderbird is just a few days away. We’ve got an incredible day planned for April 23 – plus the auction benefits the incredible Give Kids The World Village. So here’s your video reminder (with some awesome Thunderbird footage) – and here’s the auction link – as time is running out.